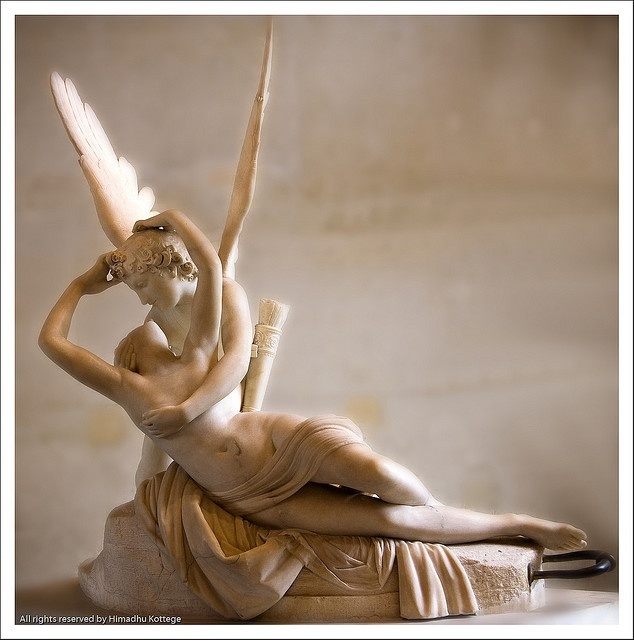 Antonio Canova (1757–1822), Psyche Revived by Cupid’s Kiss, marble, MR 1777, Musée du Louvre, Paris / © 2010 Musée du Louvre / Raphaël Chipault. Editorial note: Click here to read Hélène Cardona’s translation of “Nos corps sont des cygnes sauvages” alongside the original French original. When I first read Beyond Elsewhere (Plus loin qu’ailleurs, Éditions du Cygne), by Gabriel Arnou-Laujeac, I simply fell in love in a way that hadn’t happened since I first read Henry James. It compelled me to translate the book and present a translation panel at this week’s 2015 AWP conference in Minneapolis titled “Translation as a Love Affair: International Perspectives on Creative Process.” Did you ever fall in love with a book? So much that you felt the need to translate it? Did you ever fall in love with a book? So much that you felt the need to translate it? Working with Jennifer Kwon Dobbs, Martha Collins, Willis Barnstone, and Donald Revell, we’ll discuss our roles as intermediaries, technicians, magicians, and alchemists working between languages to create inspired texts spanning cultural differences, geographic distances, and time. I delight in synchronicities. It was uncanny that, right after discovering Plus loin qu’ailleurs, I was invited to the Puterbaugh Festival of International Literature & Culture at the University of Oklahoma to participate in the roundtable discussion “Reading Andrés Neuman,” one of the most innovative and exquisite writers today, whose novel Traveler of the Century—an attempt at a postmodern reading of a classical novel which can also be described as the “total novel,” all-encompassing, poetic, embracing numerous literary traditions, and examining history, politics, feminism, love, dreams, literature and the fantastic—is centered on two translators in love with language. Beyond Elsewhere is a journey beyond space and time, a wide-open window into the invisible. We travel beyond the known world in a quest for the divine, in search of infinite love, a quest from life’s beginning to meet the other and oneself. It is a hauntingly beautiful long prose poem, a dance that at once touches on the universal and uniquely personal. With his debut collection, Arnou-Laujeac establishes himself as one of French poetry’s most innovative new voices. His writing is lyrical, masterful, exquisite, an opening into the elusive, affirming the absolute necessity of listening to the world. Beyond Elsewhere is a symphonic poem with boundless language, where past and present meet. Translation is a craft. It is also an inspired act, a negotiation. “Translation is a kind of transubstantiation; one poem becomes another,” writes Anne Michaels. Translating Plus loin qu’ailleurs was a challenge in many ways, with its concise style, lyricism, play on words, and spiritual dimension. Translation is a craft. It is also an inspired act, a negotiation. To quote Henry James, “We work in the dark,” from that intuitive place. It becomes an act of revelation, the ultimate act of sympathy. Hélène Cardona is the author of Dreaming My Animal Selves (Salmon Poetry), The Astonished Universe (Red Hen Press), and Life in Suspension (forthcoming from Salmon Poetry in 2016). Her translations include Ce que nous portons (Éditions du Cygne), based on What We Carry, by Dorianne Laux; and Beyond Elsewhere, by Gabriel Arnou-Laujeac (forthcoming from White Pine Press in 2016). 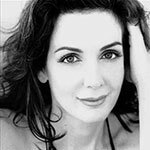 She holds a master’s in American literature from the Sorbonne, taught at Hamilton College and LMU, and received fellowships from the Goethe-Institut and Universidad Internacional de Andalucía. She co-edits Dublin Poetry Review, Levure Littéraire, and Fulcrum: An Anthology of Poetry and Aesthetics.